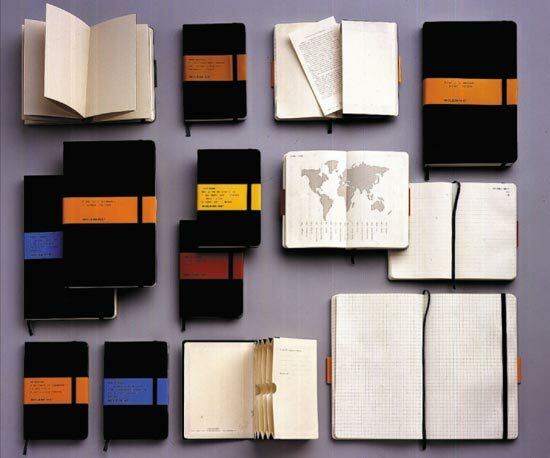 One hipster fad I embraced a few years ago was using a Moleskine notebook . I don't remember exactly what turned me on to them, but ever since first trying one, it just felt right. Probably something about famous artists and writers using them back in the day. 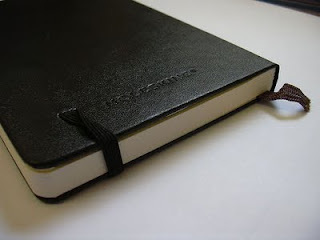 Solid construction, smooth writing paper, easy to carry around, and it lays flat from the get-go. It has the feel of something that will outlast you. I go through three of four a year. I am currently on number 14. A shelf in my basement holds the previous volumes. I usually keep the last-filled one in my gear bag. When I finish one notebook and start the next, it allows review the lists as I rewrite them. Having this info quickly available has made me a office hero on several occasions. Notes, schematics, doodles, and bubble to-do lists (more on this later). Always put the date in the corner. Put the volume number and the start/end dates on the spine in black sharpie. On the endpage, I keep a half-dozen or so blank stickies for leaving notes, different color tabs, and a few paperclips. Bonus: you can hollow out the pages of the small ones and make a "secret agent" hard drive enclosure.